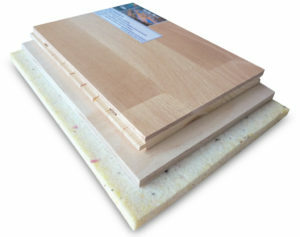 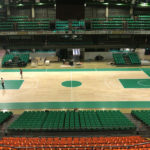 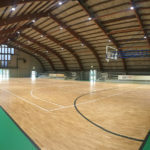 Dalla Riva Sportfloors finds its "Green Source"
The Administration of the Municipality of Fonte thinks big and chooses one of the high performance wooden sports floors produced by Dalla Riva Sportsfloors: the protagonist is the Playwood 6, a patented and FIBA approved system with 6 mm of noble wood that fit perfectly to all sports. 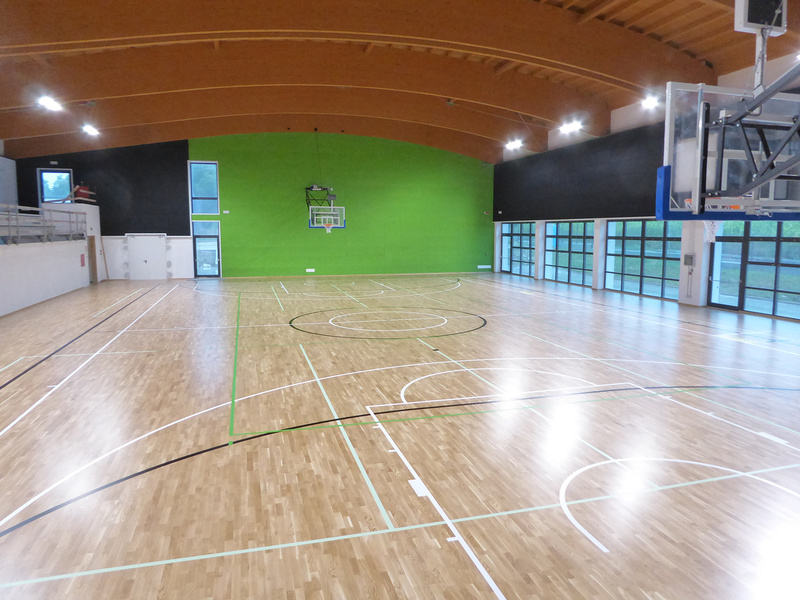 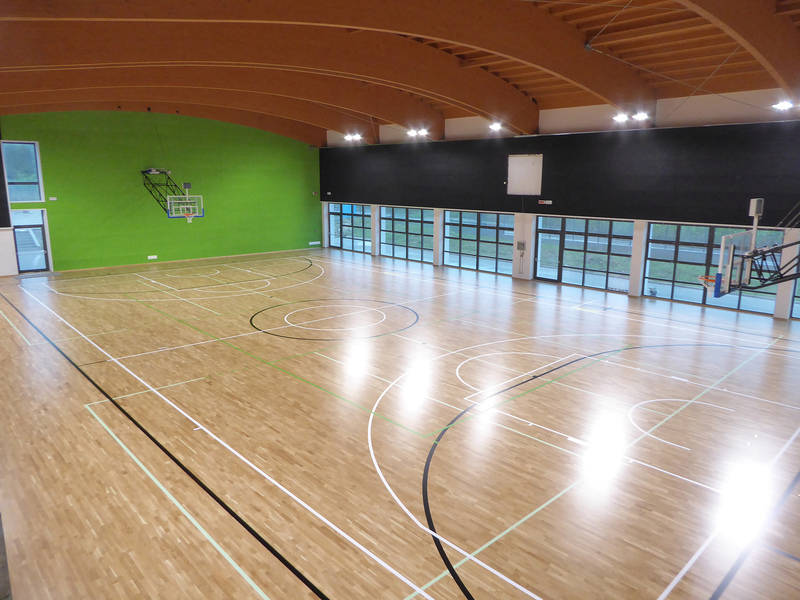 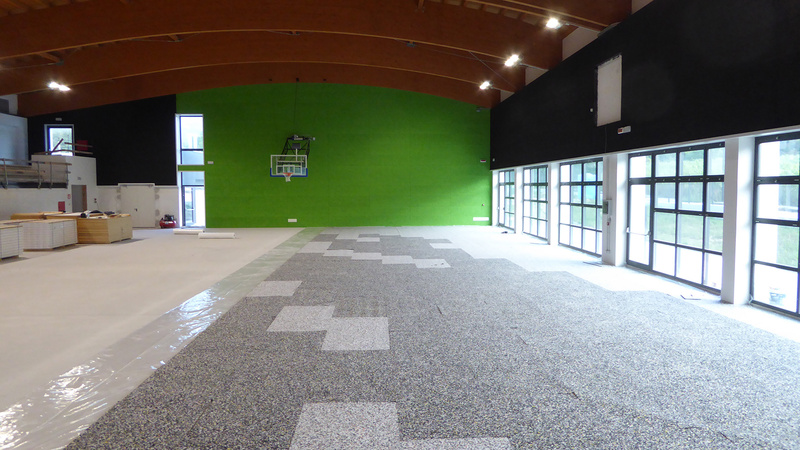 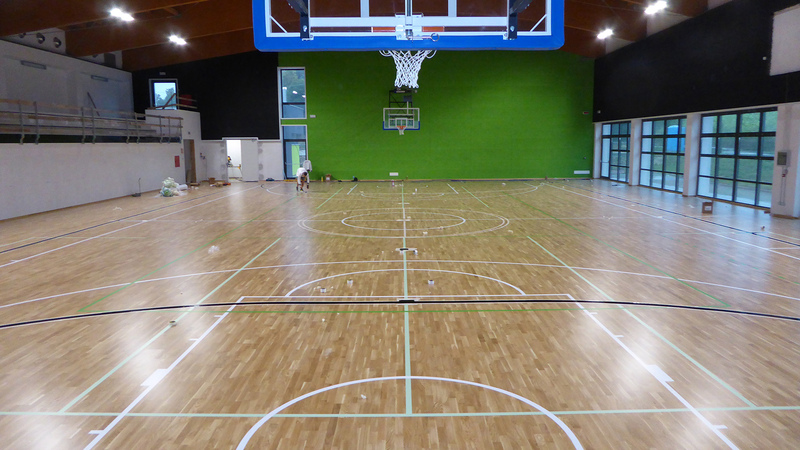 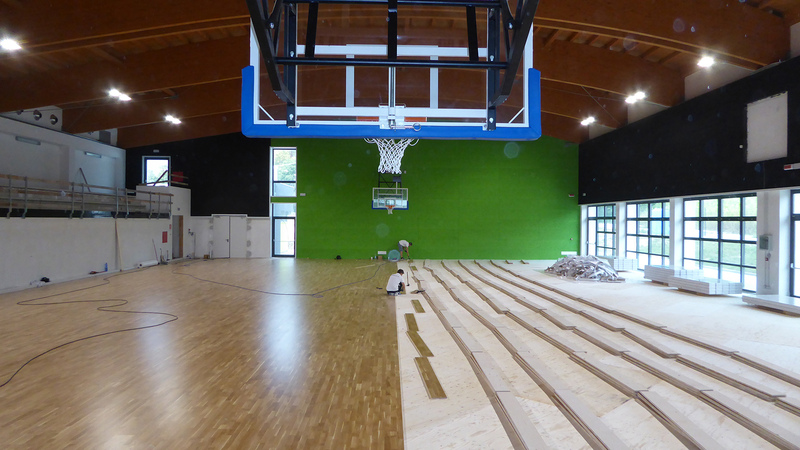 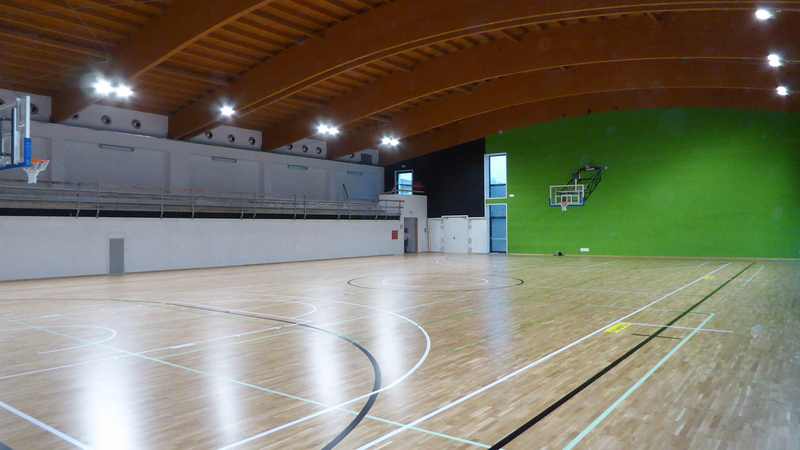 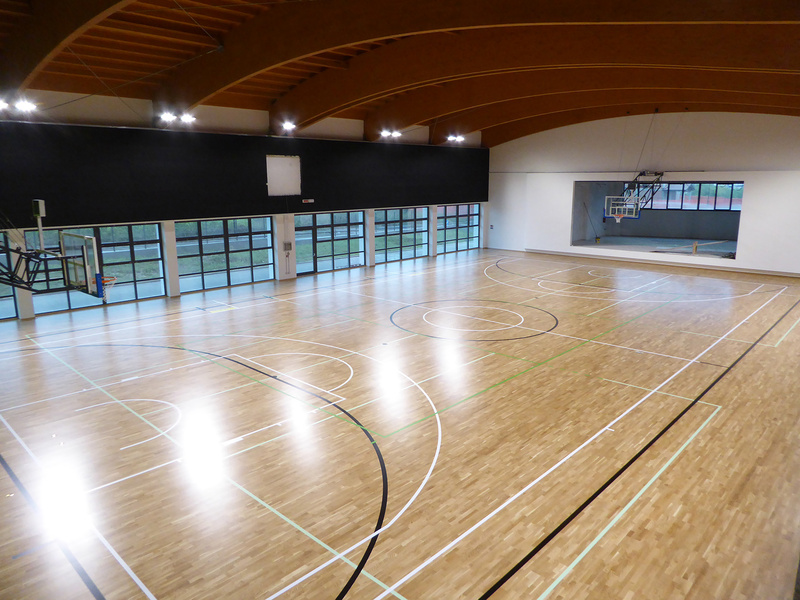 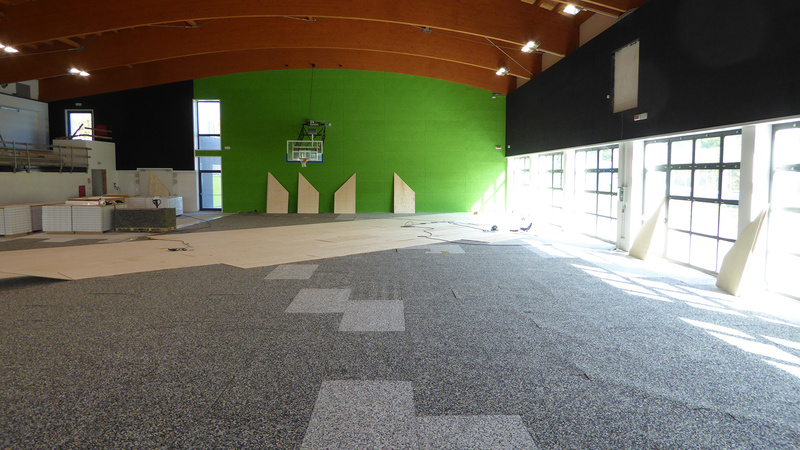 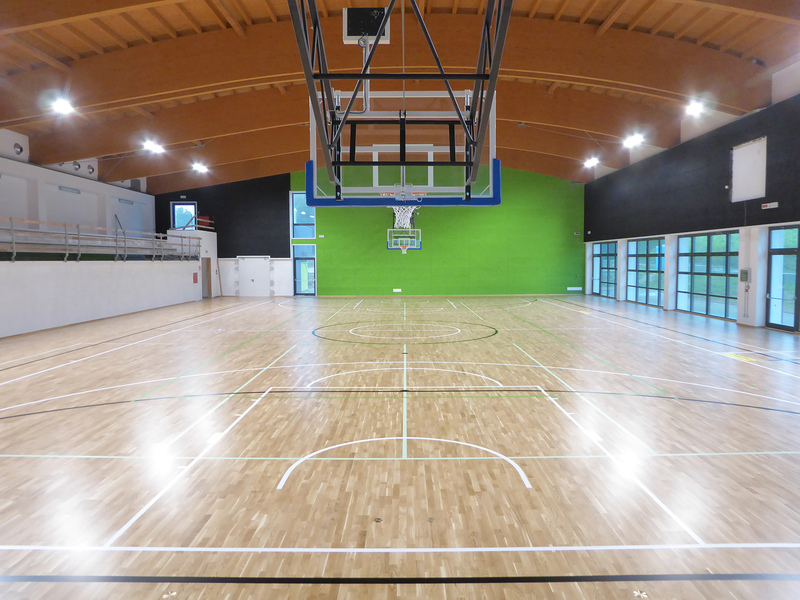 A resistant and robust parquet that guarantees uniformity of “response” of the entire playing surface; 900 square meters of sports flooring with oak essence supplied and installed by the Dalla Riva staff for the new multipurpose gym in the Treviso area. 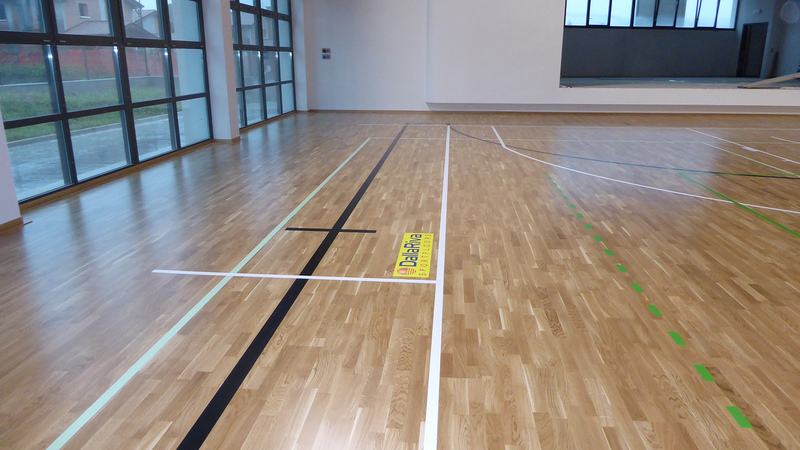 A pavement in which the white basketball court, the green volleyball court, the black 5-a-side football and the two cross-volley were drawn. 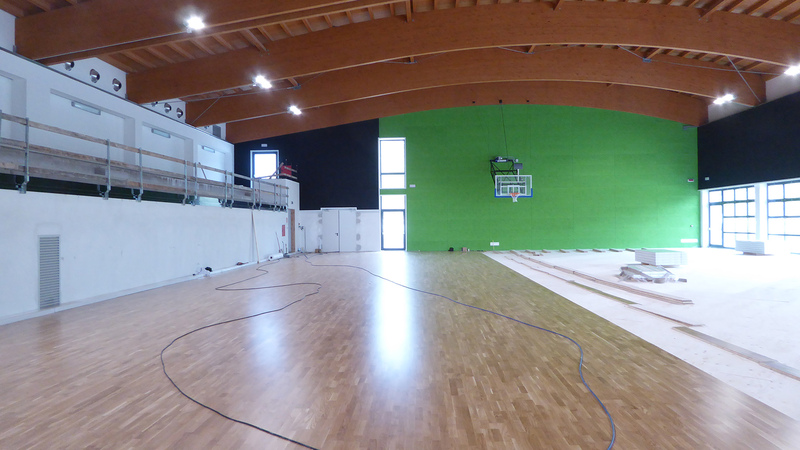 A particular highlight is the coloring of an electric green wall that gives a touch of light to the entire system.